Hello, lovelies~ For those living in Indonesia, Emina may be familiar to some of you since their release last year. It is a local brand that (probably) has one the cutest packaging in the market right now. The brand gives off a cheerful, summery, girlie image that comes with colorful packaging. 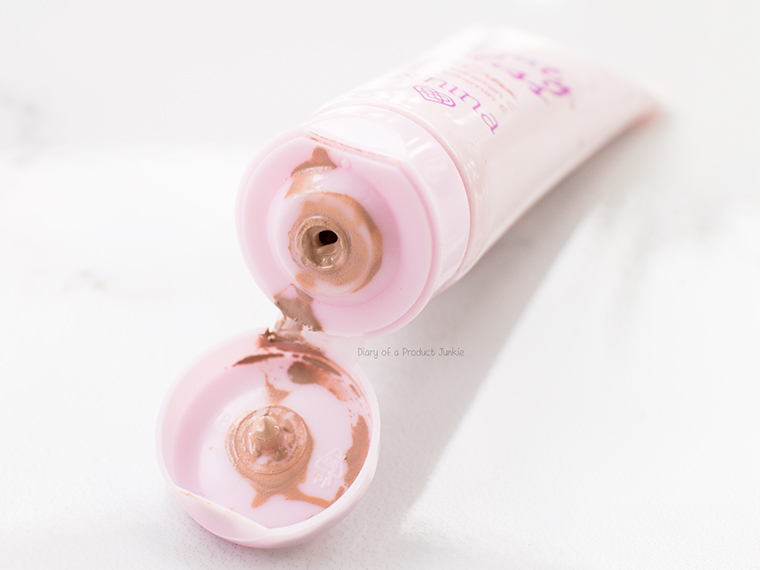 I know I’m remarkably late in getting my hands on this BB cream to review it on my blog. 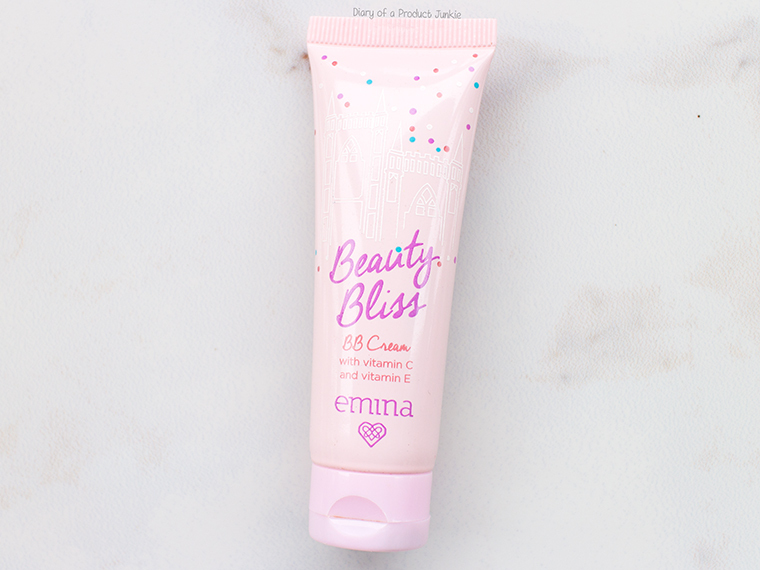 Nonetheless, here is what I think about Emina Beauty Bliss Cream. 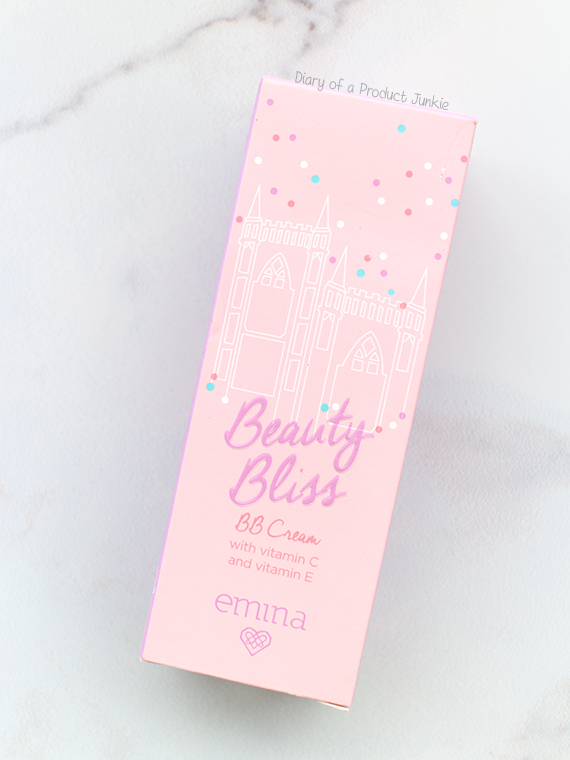 The BB cream comes in a separate box that has a wonderful illustration of a castle that feels like it was taken off a fairy tale. The tube has the same color scheme and a princess-like feel to it. One of the downside from this BB cream is the packaging. Tube is a nightmare to work with as it dispenses extra product even with the slightest push of the tube. See the picture above? That's how troublesome the tube is. Despite the presence of ethylhexyl methoxycinnamate along with titanium dioxide, it doesn't list the level of SPF or PA. Maybe they are used for something else? Not sure. However, it does have dimethicones and the like, which help control excess oil. It doesn't contain any parabens, but I think uses tocopheryl acetate as preservative and antioxidant. One of the things I like about it is the absence of fragrance, making it more suitable for people with sensitive skin. The consistency of this BB cream is similar to a lotion. It blends easily on my skin even without any tools. The shade isn’t too bright for my skin tone, so I don’t end up looking like a ghost. All pale and whatnot. It helps brightens my skin tone and neutralizes any redness on my cheeks. 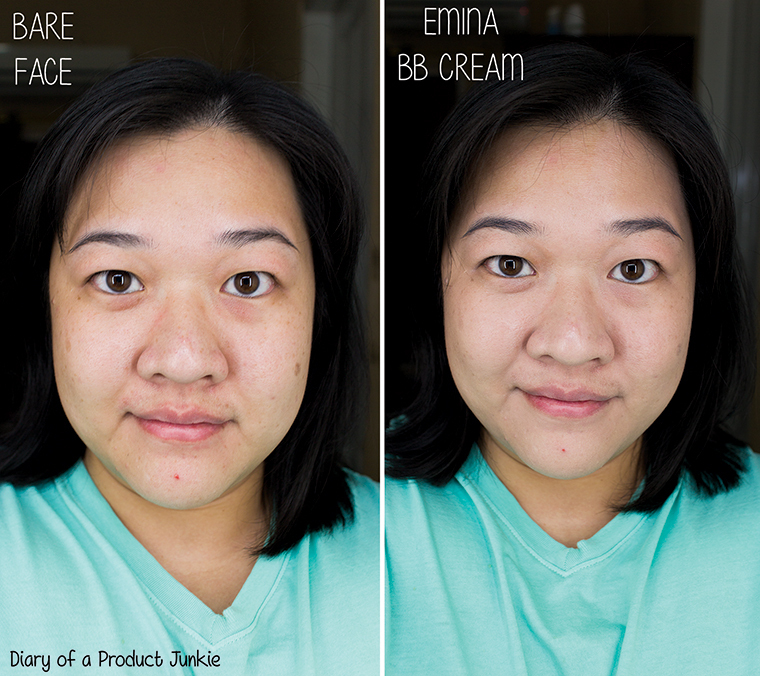 The coverage isn't the greatest compared to other BB creams that is able to conceal light acne scars. It does help even out my skin and reduce any redness appearance on my cheeks. Notice the red marks on the edge of my nose and mouth is evened out. It looks semi matte, so it still looks a bit natural. This BB cream doesn’t last all day on my combination leaning more towards oily skin type. It fades after around two hours when I’m at work. Maybe it’s my excess oil that helps ‘clear’ the BB cream off my face. 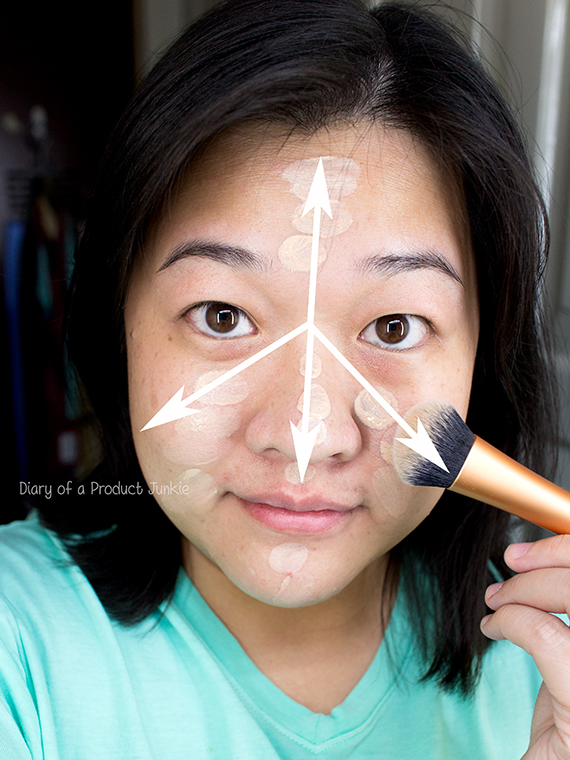 I like to dot the BB cream on the center of my face and blending it with a face brush. With this method, I don't have to worry having a visible/harsh line on my jaw line that makes it look like I'm using a mask. It just leaves the center of the face bright, without the edge being a different color than the neck. It can be blended with your fingers, but it tends to leave a stain that needs to be washed. Despite the poor longevity, I kinda like using this BB cream on the weekends when I only go out for a short amount of time. 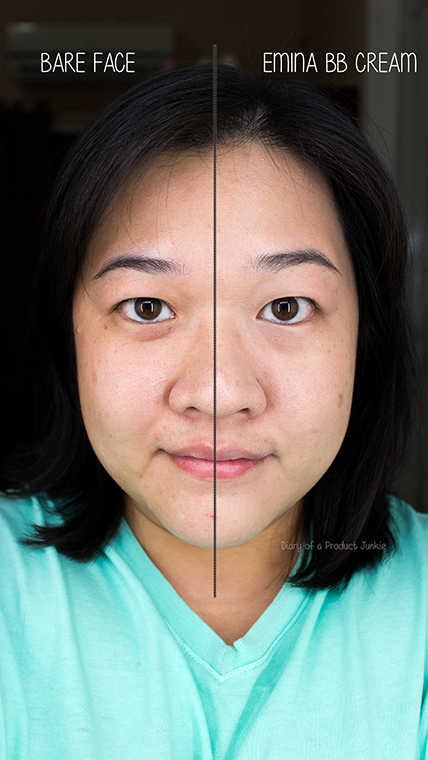 It just helps cover the slight blemishes I have on my skin and gives me a more natural finish. As I would like to call it, “still-looks-a-bit-like-skin” makeup. Available at Watsons, Sociolla, and other drugstores. Emina ini emang terkenal dengan packaging yang cute ya. Hehehe. Tapi aku belum pernah coba sama sekali.